Christmas light controllers are great to have for the Holiday season. When installing your Christmas lights having a light controller is essential to get all of the lights to flash in the right order. Christmas light controllers have several settings depending on the controller you select you can have blinking lights or set the controller for chasing lights or many other settings. 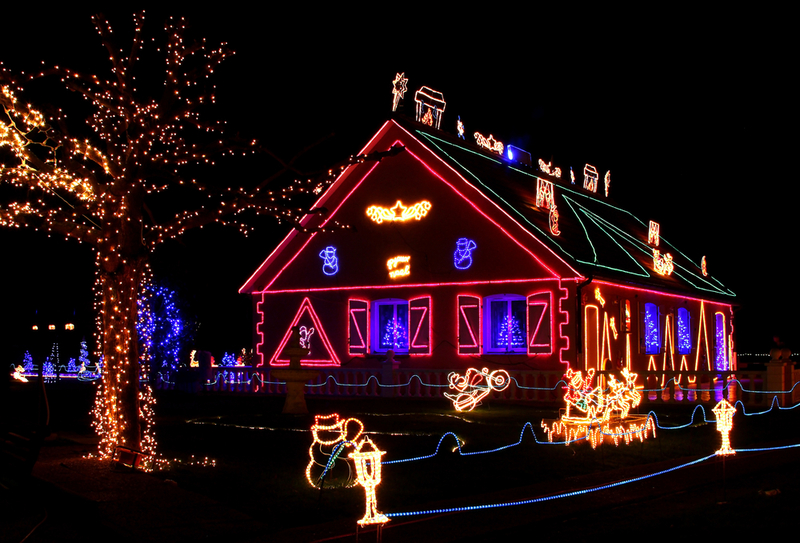 Christmas light controllers can make plain Christmas lights turn into a dazzling display of Holiday cheer. A light controller does just what the name says; it controls the Christmas lights. If you do not use a Christmas light controller, then your lights will be on all the time or flash in a random order. You will not be able to get them to flash in sequence, get the lights ‘chasing’ each other, or try out other special lighting effects. You can use Christmas light controllers even if you are using plain, cheap Christmas lights, enhancing your Christmas display and making it something extra special. Most controllers come with a set of lights so you can buy the whole lot together. They are easy enough for anyone to use. Think about a standard controller or even something musical or which features all kinds of special effects. Good Christmas light controllers are a seasonal must-have! This controller lets you control 4 different branches of lights separately. Get them fading, twinkling, running in waves, blinking or chasing, and choose from 8 different settings. There is a push button switch on the controller to pick the effect you want, and you can use the timer, so the controller remembers which mode you had it in. Use this indoors or outdoors. You can have up to 150 watts on each branch, and the power cord is 6 feet long. 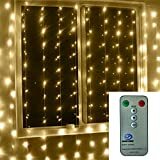 This low-maintenance device pairs well with your Christmas lights and being able to choose different speeds, patterns and effects give your Christmas light display much more charm and beauty. Besides, this is one of the easiest Christmas light controllers to use. Not everybody wants a huge light extravaganza at Christmas, but some people like to have an amazing light show to wow their friends and neighbors. Consider how big you want your light show to be, as well as where you are going to put the lights. Do you want them inside, outside or both, and what is your budget? Perhaps you just want some lights on the Christmas tree and nothing else, or maybe you want to have lights on that bush in the front yard or around your front door. 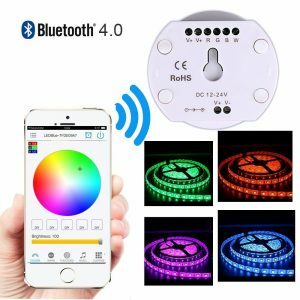 Do you want lights which will flash randomly or lights which will flash to music? When you connect a unit of lights so you can control them with one controlling unit, that set is known as a channel, so you need to think about how many channels you want to have. You will not be able to flash one individual light bulb, but you will be able to choose different effects. 32 is probably the most channels you should begin with if you are new at programming lights. You can get a fully built system which you can use right out of the box, or you can get hardware to hook up to your computer. Having interested family members or friends is beneficial because they will able to help you set up the lights and get everything working. If you are putting some lights on the roof, you are not going to want to be up there fiddling with them and then have to come back down to press the button to turn them on, so having help is very handy indeed. Think about where to put your lights. Think about net lights or mini lights to go on the landscaping, lighted sculptures of Santa or reindeer next to the driveway, and the kind of lights you want to have around your tree and in the living room. This is not a project you should rush, so allow yourself time to check the lights and ensure there is nothing which could be a fire hazard. If you are confused perhaps someone else in the neighborhood is good with lights so you can ask around. 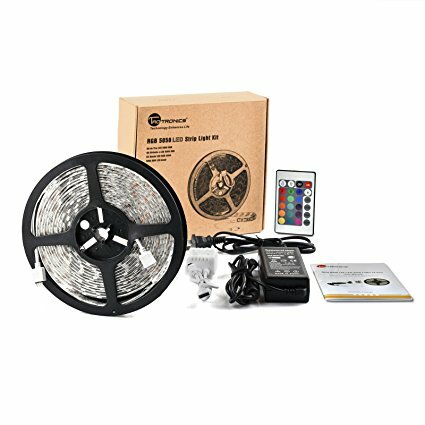 Because you can choose anything from a small rope of lights around the tree to a huge flashing musical decoration all over the outside and inside of your home, it is important to allow yourself time to plan it all and see what kind of Christmas light controllers are available for you to use. 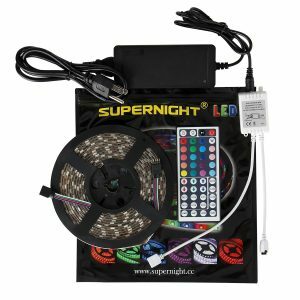 This is a ‘starter kit, ’ and it is ideal if you are new to using light controllers. This is very simple to install, and you can add extra sections or rolls to it, as well as adding a Y connector if you do not want all the lights together. You get a male-to-male connector with this so plug in the power cord or a connector allowing extra LED strips. There are different settings, and the high setting makes the lights bright. If the room is dark, you can read by the white setting. The remote has all the controls on it, and it is a good size. Use the remote to turn the lights on or off, change colors, dim them, or try special effects for a light show like dimming or flashing. This excellent quality Christmas lights controller comes with 140 clear bulbs on a green cord, and there are 4 inches between each one. You can use it indoors or outdoors, which is handy. Wrap the lights around the tree or even use it to decorate the porch. The effects include slow-glow (the lights fading out and back on again), in-wave (the lights move back and forth like a wave), chasing and sparkling, combination, fade out, and more. You can also just have the lights steadily burning. This kit also features a fuse and spare bulb. The price is right, and this is easy to use. Christmas lights always brighten the place up, and this set offers plenty of features. 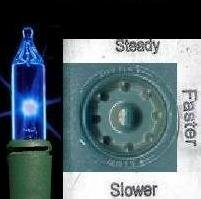 This is one of the most popular Christmas light controller options. It is sensitive to sounds or music, and the LEDs will dance along with the beat. Change the flashing rate or brightness, and choose from 16 different sets of colors. There is a strobe effect, and you can have the lights glowing or flashing, or have them on all the time controlling their brightness. 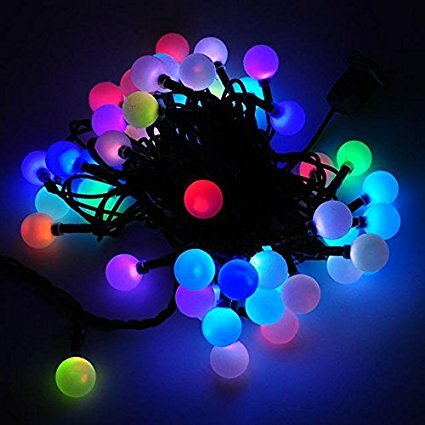 The fact that these lights flash in time with music makes them extra fun, and if you have young kids you want to impress this is the set to choose! It is easy to use and functions well, and reviewers love the options you get with this Christmas lights music controller set. So you want to decorate outdoors instead of decorating the tree indoors? No problem, if you choose this outdoor decoration kit. 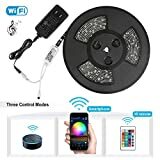 You get a flexible LED light strip as well as a controller and wireless remote control. The lights are weatherproof and waterproof, and you get 200 days warranty too. 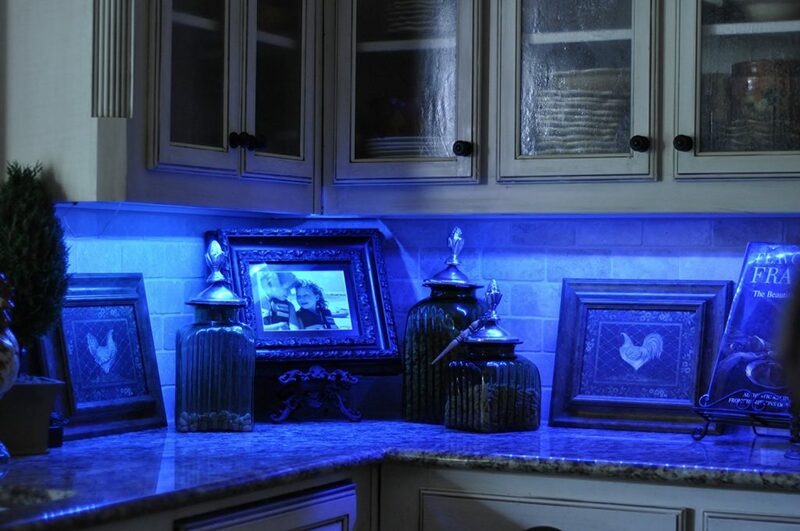 The lights do not give out much heat, and they will burn for over 50,000 hours, using low power consumption. Choose these if you want to decorate your yard or garden, your porch or around the front door, or even have the lights going around your windows. The possibilities are endless, and this is a great kit which is versatile and high quality. When thinking about Christmas, most people think of the same things first, and that would be the tree, the gifts and of course all that food! But what makes Christmas special, apart from the fact it brings families together, is that ‘feeling’ the season brings. You know when you are standing around the tree admiring how the room looks with the fire blazing in the hearth, the gifts sitting below the tree and the lights twinkling on the tree and around the room? Well now imagine the same picture but without the lights. It would look rather stark. Christmas lights are a huge part of decorating for the season, and there are plenty of possibilities. If you are confident with electronics, you might like to assemble your own Christmas light display and include the outside of your home as well as the inside. 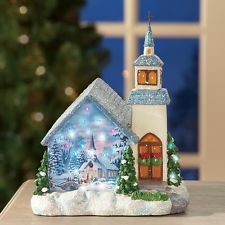 Add flashing lights, a huge light-up Santa and reindeer, and even music if you want. You might like to check with the neighbors first though! If you prefer to keep it a lower key or go for something more subtle, there is nothing wrong with a traditional display of lights on the Christmas tree, and perhaps another strand along the mantelpiece or around a mirror for example. The lights on the tree can be clear or colored, depending on the look you are going for, while you might also like to think about lights around the door or window or lights under the mantelpiece. Because these all rely on electric, the most important thing is to be safe, so read the instructions before playing around with the lights, and if you want to have lights outdoors then make sure the lights you are planning to use are suitable for use outside. Taking a few minutes to ensure everything is safe is well worth it in the long run. Christmas lights are safe if you follow the instructions that came with them and take your time when assembling them. As well as some twinkling lights, you might like to have some natural decorations around the home such as a real Christmas tree, some holly, and berries, or even some mistletoe for cheeky Christmas kisses. Candles, tinsel, and other dazzling Christmas items all add to the appeal of your home and will introduce a real festive feeling to get everyone in the mood for the Christmas celebrations to come. Burn some Christmas scented candles (think oranges, cinnamon, plum pudding or redcurrant aromas) or some fragranced oil to add another dimension to the Christmas atmosphere if you wish.